We work with some of the most successful and influential publishers in affiliate. Our Publisher Perspective series sets out to learn from the best of the best and pick up a few secrets to their success along the way. In this installment, we sit down with Ronny Sage, CEO at ShoppingGives. enhances retailers’ ability to compete with Amazon. and each member of our team contributes in their own way, even outside of the office. Employees donate their own time to organizations throughout Chicago to give back even more than the technology we build. Please describe a typical day in your office. At ShoppingGives, our days routinely kick off with water cooler banter, recapping our previous evenings and days so far, particularly the shock and awe that follows Monday mornings during Game of Thrones season. We then get into the day’s business with our morning stand, discussing and reviewing current priorities. From there, the real work gets done, focusing on building tools and strategies to create impact, connecting with NPOs to expand our giving community, and partnering with retailers to drive their Corporate Social Responsibility plans to new heights. Our team also takes time daily to recognize our wins, both big and small, whether through a Mario Kart tournament over lunch, gathering around the whiteboard to map out a promising new idea, or having partners over to the office for a celebratory happy hour. What types of programs is your team looking to partner with on Pepperjam Network? Our best partners are those with the intent to make a difference, from their corporate philosophy down to their individual customer interactions, and who are looking to do so authentically. They know that Corporate Social Responsibility is good unto itself in addition to being a great way to establish a relationship with consumers. 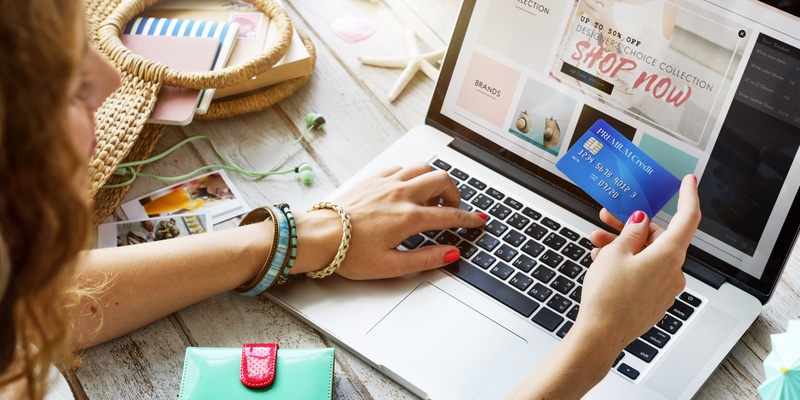 Change Commerce helps these brands realize their ability to create impact while giving them a brand-new way to communicate and connect with their customers. What Pepperjam Network technology innovation has had the greatest impact on your team? Pepperjam’s comprehensive reporting provides our team with up-to-the-minute information, allowing us to make marketing, sales, and technology decisions in real-time, knowing we have the best data available. Beyond just the technology, it’s been validating to have the entire Pepperjam team mirror our company mission and advocating for social impact, making the relationships we’ve built instrumental to our growth. We’re an organization that gives back twice as much as it makes: for every dollar made through Change Commerce, two dollars go back to the nonprofits chosen by our retailer partners’ customers. We’ve built this technology to empower retailers to do great things while simultaneously removing the obstacle of process management from their plate. Now unencumbered, they are able to start a meaningful, personal conversation with their customers while also easily supporting, tracking, and receiving donation receipts and data. Our performance-based program will allow stores to easily measure their RODS - Return on Donation Spend - for their CSR and marketing strategies. What do you attribute your company’s success to on Pepperjam Network? The partners on a network are what play most into ShoppingGives’ success. The tools, UI, and reporting go a long way to help us with our business, but our true impact comes directly from the community that Pepperjam has built. What is one thing people should know about your company? We’re ready and excited to work directly with your brand to either elevate your existing CSR strategy or to help you start from the ground up and build a plan centered around customer loyalty, conversation, and impact. Learn more about ShoppingGives by attending their featured publisher webinar hosted by ShoppingGives CEO, Ronny Sage, on Thursday, September 6, 2018 from 2:00 PM - 3:00 PM. We’re Headed to Women in Retail!